Ready to head to the seaside! 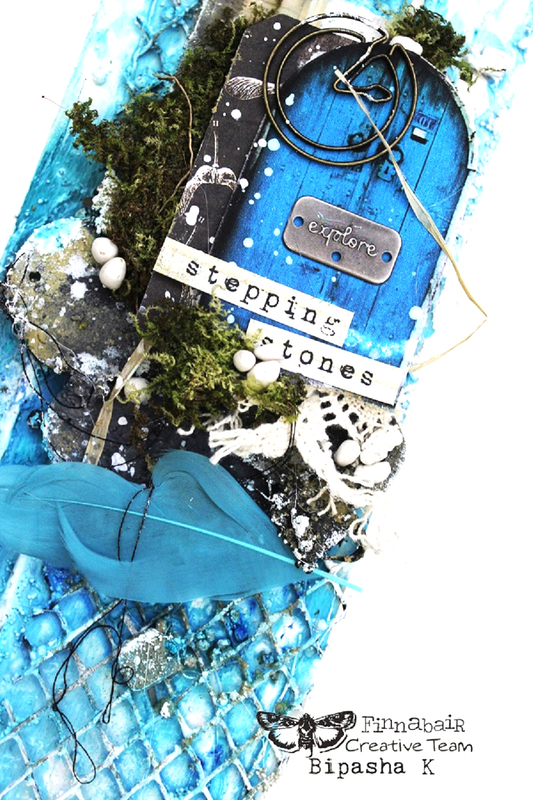 Stick your toes in the ocean cool blues, dig around in the glimmering warm sand, and keep your eyes peeled for wonderful sea shells and stones...all in a creative sense with Art Alchemy acrylic paints, Art Stones, and Art Extravagance Pastes-Stone, Rust, and Patina! Finnabair's amazing design team is here today with their own take on the seashore experience! With just the right products you can recreate the beach in your own home! Hello, wonderful creatives! This June Art Recipe was incredibly inspiring for me! 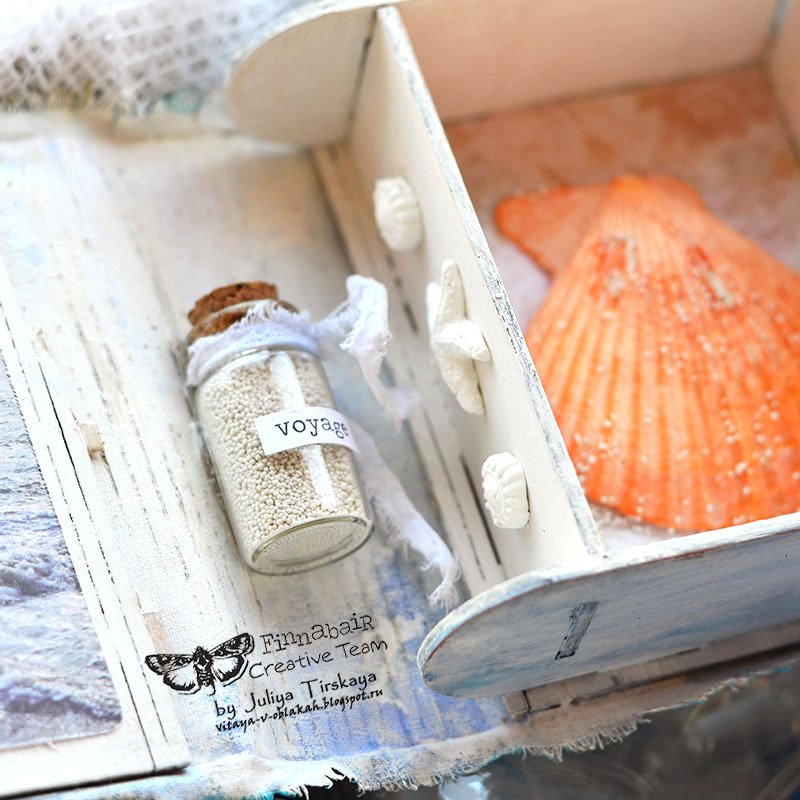 To create my little assemblage / little altered jar, I needed quite a jar after my favorite Soft Matte Gel, some pretty shells and the best materials from Prima and Finnabair. 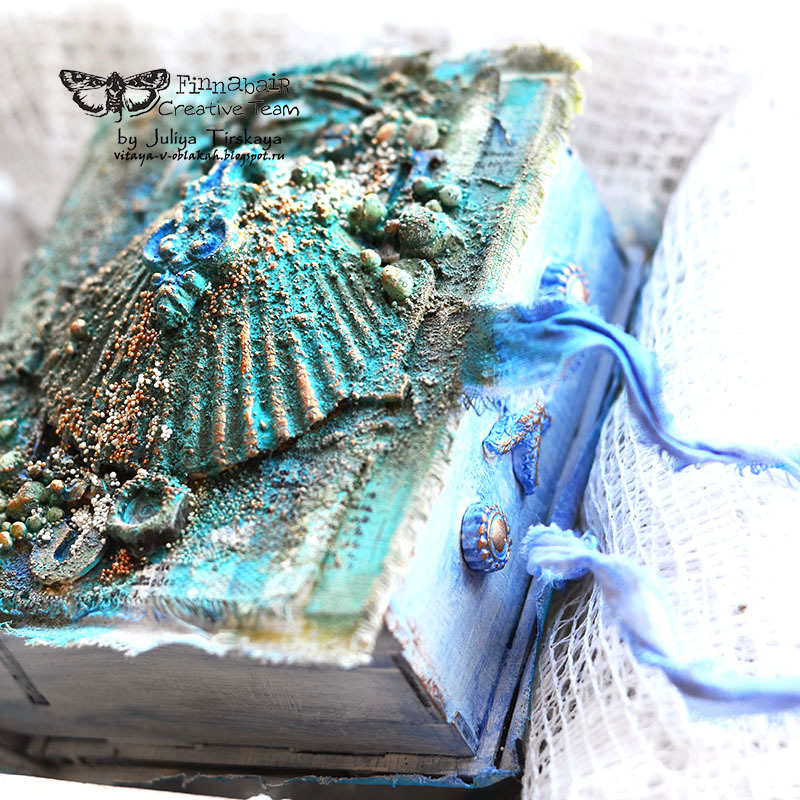 With the help of Rust Effect Pastes it's super easy to create an imitation of sand and you can make magic and express the atmosphere of the sea with Art Alchemy acrylic paints and Mechanical elements. Just let your imagination guide you! I wanted my little box to resemble an old treasure found in an underwater wreck. :) I diluted Midnight Sky acrylic paint to make natural looking stains on top of the pastes and also used the same paint for the ribbons and the sides of the box. A touch of Vintage Gold Wax here and there added a delicate shimmer and accentuated the textures. Inside I hid St Tropez journaling cards and another special little treasure: a gorgeous shell and a bottle filled with mini Art Stones. I altered a door tag with Heavy White Gesso and created multiple textures with Art Stones and Stone Effect Pastes. Next, I added some grunge effect with the versatile Rust Paste in Camouflage. i n s p i r e d y e t ? Finn's team is aaahhhhmazing and I am now totally inspired to head to the seashore and start creating! Finnabair's products truly add gorgeous texture and design that you just cannot find elsewhere...and they look so REAL on these projects. It's the next best thing to actually BEING THERE, right? We'd love for yuo share your Finnabair Art Recipe projects with us on our social media below! Just tag us so we can give you some love!